I created a new Admin account in Sierra High and needed to delete the previous admin account which is marked now as the standard user. However, after unlocking as admin and selecting the respective user that I would like to delete, I see the - sign is marked as Grey. How do I delete the respective account? I find a code snippet to run on the terminal, i.e, sudo /usr/bin/dscl . -delete "/Users/mac". Should I try that and will work out? As an answer suggested, I'm not logged in to the the fast user switching menu. So, in brief the other user, mac was not in the terminal. Boot into the recovery partition. Choose Terminal from the Utilities menu --> Terminal should appear. Enter: resetpassword at the prompt and hit return --> a new window/app should appear behind the Terminal window called "Reset Password"
Go through the steps to reset the password for the account you're trying to delete. 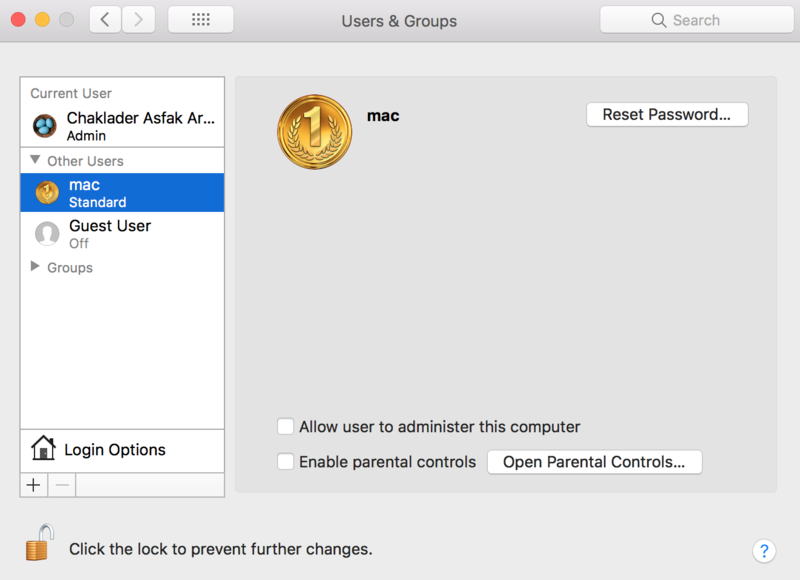 Restart the Mac and log back in as your main admin account. Go to Users & Groups System Preferences pane, select the account you're trying to delete and hit the minus button. Fixed it for me. Hope this helps! The – button is greyed out for a user when the user is still logged in with Fast User Switching. Log out the other user you're trying to delete, then return to System Preferences with this user account and try again. You can restart to be sure that user is inactive as well. You can delete a user from command line and you need to be careful you have the exact short name correct or you will erase the wrong data. In this case, the short name is mac. Run the following to delete the user and separately delete the user's home folder. If you want to keep the home folder, don't run the rm command. If the dscl command fails, reset the password on the account and retry the above commands. Not the answer you're looking for? Browse other questions tagged macos high-sierra . How to prevent resetting a login password in single user mode or from a recovery partition? Proper group ID (gid) for Lion? Accidentally created user with duplicate UID. How to fix? Why does Users & Groups System Preference not display a user? 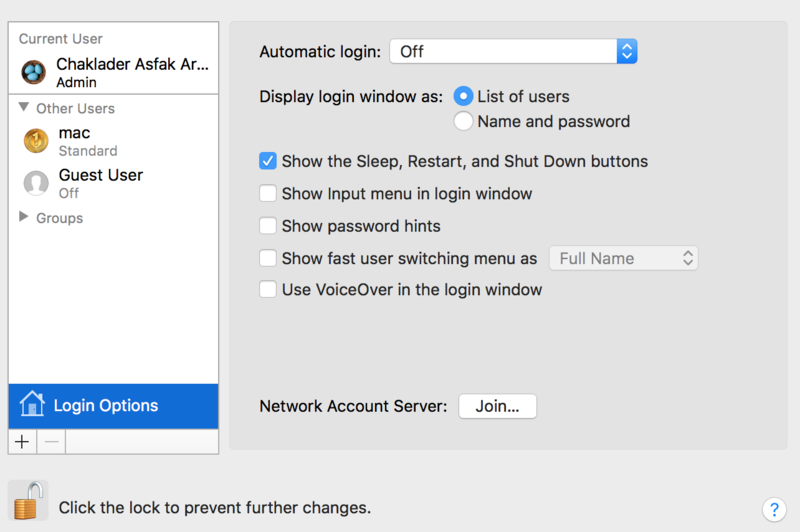 What causes an automator app from a network share so that normal users can't run it?